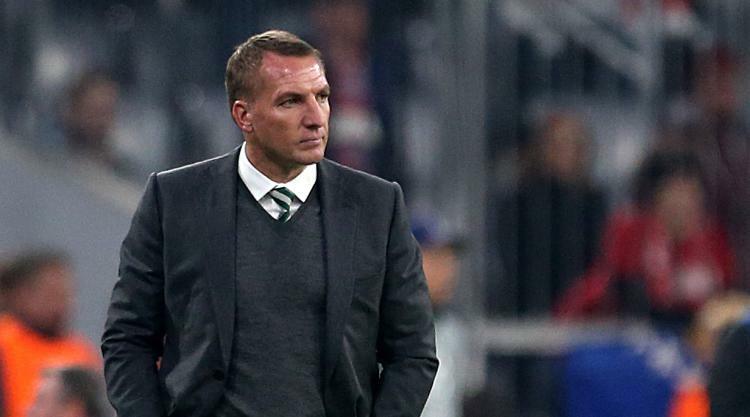 Celtic boss Brendan Rodgers will not resort to pragmatism despite suffering a 3-0 defeat to German giants Bayern Munich in their Champions League clash in the Allianz Arena. The Northern Irishman had promised to play on the front foot in the Group B encounter and in an open game, skipper Thomas Muller opened the scoring in the 17th minute before right-back Joshua Kimmich headed in a second in the 29th minute. Mats Hummels headed in a third six minutes after the break and although the Scottish champions threatened more in the second-half it was a comfortable win for the star-studded home side. Asked if he could perhaps have been more pragmatic in his approach, Rodgers, whose side lost 5-0 at home to French side Paris St Germain in their opening fixture before beting Anderlecht 3-0 away, said: "We decide how we play. There is nothing about being pragmatic for the goals we conceded. "We didn't defend our box well enough when the ball came in. We could do better with those. "But listen, I would rather lose a game playing the way we want to play and how we want to work as opposed to sat in and defending for 90 minutes and still lose, if that is the case. "Myself and my staff and the players had a plan going into the game and there were lots of positives for us in the game and something to look forward to for the second game against them at Celtic Park." "It is about constructing a mind-set and a way of working. It is not going to happen overnight. "There are lots of elements. We come away to some of these big arenas and we can show our qualities and level of football and that won't change and we will look to do that as opposed to sitting in and suffering in the game. "You have to respect the level of opponent but the players are getting better." The victory against Anderlecht on match day two means Celtic are likely to be playing in the Europa League after Christmas and that will represent progress for Rodgers' side, who finished bottom of their Champions League section last season. The Northern Irishman added: "Listen, you need to be a realist as well. You need to respect who you are playing against and of course we want to be competitive at this level but you also have to measure the level and quality you are playing against. "My players gave everything, they did amazing to qualify for this competition and it is a huge ask for us. "Progress for us is to be in Europe after Christmas and that is still our focus but of course we want to give our best in every game we play. "I thought some of our play was very good, particularly in the second half. "When we attacked and went forward we looked a real threat at times. "I am disappointed with the nature of the goals we conceded. "They were poor goals from our perspective but there was still a lot for us in the game. "There is no denying we were playing against a top class side but we feel we could have done better with the goals we conceded." Bayern coach Jupp Heynckes, who recently returned for a fourth spell in charge following the departure of Carlo Ancelotti, is still looking for more from his side. "We created a lot of chances that we didn't take advantage of and at the other end let them have a few themselves," he told UEFA.com. "We were a bit negligent there and we cannot let that happen. You need to be completely alert from the first to last minute."